Investors will be watching tomorrow the China first-quarter GDP report. The market estimates that China's economy continued to slow in the first quarter as a result of the trade war between the United States and China that began last year. Financial and property markets in the Spring Festival holiday has slowed. The production in the manufacturing and service sectors as well. Growth is expected to slow to 6.3 percent in the first quarter, China's A50 index fell yesterday. Today's UK job data, unemployment rate and jobless claims are closely watched by the market, which directly affects the expected UK CPI outlook and the trend of the pound. In addition, other essential data from the eurozone and Germany which is ZEW economic sentiment index for April can be used to look ahead to the euro zone's March CPl inflation data announced tomorrow. It is recommended to note that the U.S. industrial index and housing price index today, these are not essential data but good for predicting the U.S. retail sales data on Thursday, and there will be opportunities to influence the trend of the U.S. dollar and the trend of the the the global stock market. It even affects commodity markets, such as gold and crude oil prices. Markets are watching today as the euro zone and Germany release ZEW economic sentiment index and tomorrow the euro zone releases its March CPl that inflation data. Technically, the euro still hasn't broken through the 1.1320 resistance, and the euro has a chance to adjust, with targets in support of 1.1275 and 1.1255. If the euro extends its gains against the dollar, it could test resistance at $1.1386 or $1.14. Investors are waiting for UK jobs data and inflation data to assess the retail sales figures announced on Thursday. Recommend keeping an eye on the UK unemployment rate and inflation data over the next two days as a critical result of Thursday's expected retail sales data. The GBP could test resistance to the dollar at $1.3200 if each figure beats forecasts. GBP, on the other hand, tested below $1.3065 or below. The Reserve bank of Australia (RBA) released minutes of its April monetary policy meeting on concerns that the statement If a change in the central bank's pessimistic view of the economy and show renewed confidence in the future. That could boost the Australian dollar Technically, the AUDUSD held to support at 0.7135 and still had a chance to test resistance at 0.7190 or 0.7205. The AUD could fall against the U.S. dollar if the RBA publishes a bearish stance on the minutes of its April monetary policy meeting, with the first reference below supporting 0.7135. US economic data beat expectations, good news from Sino-US trade talks, strong Dow and Nikkei indexes, rising risk appetite, negative yen, USDJPY rising. The dollar is currently subject to short-term technical resistance at 112.15 and 112.30 yen. The dollar has a chance to test support at 111.65 or 111.35 against the yen in the event of adverse comments from the Fed speech or the U.S. President speech affected. Crude oil prices continued their downward trend, having tested $63, which affected the Canadian dollar. Also, the Canadian dollar fell last night after a central bank survey showed business confidence was weakening and investment sentiment cooling. In the short term, the U.S. dollar fell against the Canadian dollar, weighed down by crude oil prices and confidence in the Canadian economy, and expectations that Canadian retail sales could underperform on Thursday. Technically, the USDCAD reference resistance is 1.3400 and 1.3425, while support is 1.3345 and 1.3330. Crude prices fell below $64 last week after news emerged that Opec and other oil-production countries had changed their stance on production cuts and planned to discuss increasing production at June meeting. Technically, the price of crude oil was adjusted to 63.2, with the lower support level reference at $62.80. If OPEC and other members continue to express their intention to increase production at the June meeting of the organisation of the OPEC, crude oil prices will have a chance to try the downward trend after 62.80. Gold prices continued to fall from their highs as safe-haven funds flowed out of the market on progress in trade talks between China and the United States and as the UK pushed back the date of its departure from the European Union. In addition, gold prices continued to move lower on expectations of a stronger U.S. economy and a rise in the Dow. Technically, the gold price trend at the first target 1285 and 1281 support. In contrast, if gold prices rebound, the reference resistance target of 1292 and 1296 respectively. The good news from the Sino-US trade talks continued to push for the investment climate in the market, with the Dow rising. But expectations for a slowdown ahead of China's first-quarter GDP report on Wednesday hurt stocks and limited gains. If the Dow trend appears to downward, can refer to 26085 or 26015 support. The IMF expected a slowdown in global economic growth, the bitcoin price strengthened. The market is waiting for the China GDP in the first quarter. If at the end the figure is better than 6.3% expectations, the bitcoin price is expected below US5200; it could be tested US4725. 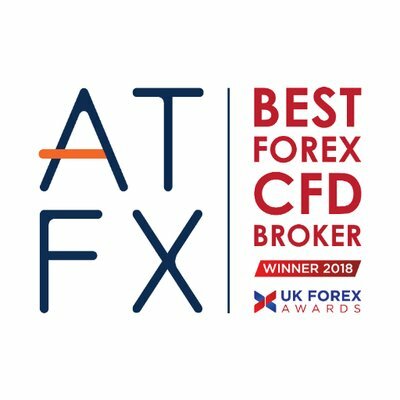 About ATFX A global award-winning forex broker, ATFX was established with the aim of providing a robust online trading platform for retail traders interested in trading, forex, cryptocurrency, precious metals and energy CFDs and. Today, the company, headed by an elite management team, has a global presence and offers a wide range of trading products. 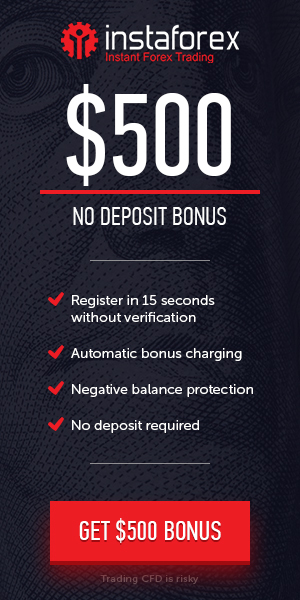 To ensure a seamless trading experience, the company offers MetaTrader 4, the most popular trading platform in the world, while connecting MT4 with the top liquidity providers with the latest bridging technologies. Due to its client-focus, ATFX also offers free access to market research, courses for all levels of trading, from novices to advanced levels, 24/5 live help and customer support, and highest level of protection for traders. Awards The outstanding performance of ATFX in our services have gained recognition from the market. During the year under review, the brand achieved over 20 international awards in 2018, included FX Broker of the Year, UK, Fastest Growing Forex Broker, Europe and Best Trader Education Service Provider. It regarding service, trading instruments, and the development in recognition of its commitments to excellent service to traders in corporate governance. Staffs are ATFX’s most valuable asset With close to 400 employees in offices around the globe, it aims to establish a strong footprint. ATFX now has websites in multiple languages tailored to each of the regions it serves and aims to provide the best-in-class products and services. From its user-friendly online trading platform to its multi-lingual customer support, offered by skilled and experienced professionals, ATFX takes pride in providing a safe and easy trading environment along with prompt help in the language that local traders (e.g. Europe, China, Southeast Asia …) are most comfortable in. Investors Education Following nearly 500 seminars that were successfully held during the last 12 months. ATFX has continued its principled commitment of educating its investors by conducting a series of seminars across the world, which are free and educate its participants about various trading techniques and helps learn the basics of risk management. It looks to provide a holistic service which includes the trading platform, along with a team of skilled and experienced professionals, allowing clients to gain access to comprehensive trading services. Website:www. atfx.com Hotline: 0080 112 7901 Support?cs.gm@atfx.com Partnerships?ib.gm@atfx.com Legal: ATFX is a trading name of AT Global Markets Limited (ATGM, registration number 24226 IBC 2017). ATGM is an International Business Company in Saint Vincent and the Grenadines. Registered address is : the Financial Services Centre, Stoney Ground, Kingstown, St.Vincent& the Grenadines.